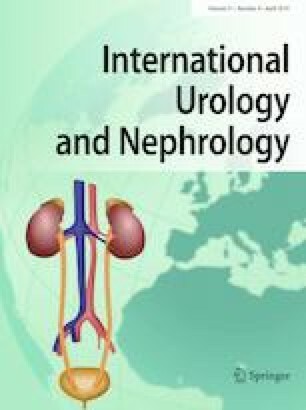 This study summarizes the evidence from randomized controlled trials (RCTs) to assess the effects of SGLT2 inhibitors on renal function and albuminuria in patients with type 2 diabetes. We searched PubMed, Web of Science, Cochrane Library and EMBASE for reports published up to March 2018 and included RCTs reporting estimated glomerular filtration rate (eGFR) and/or urine albumin/creatinine ratio (UACR) changes. Data extraction and assessment of research quality based on Cochrane risk biasing tools. Data were calculated to represent the standardized mean difference (SMD) for each study, and the SMDs with 95% confidence intervals (CIs) were pooled using a random effects model. Fifty-one studies were included that evaluated eGFR levels, and 17 studies were included that evaluated UACR levels. A meta-analysis showed that SGLT2 inhibitors had no significant effect on eGFR levels (SMD − 0.02, 95% CI − 0.06, 0.03, p = 0.45), and eGFR reduction was observed in the subsets of the duration of the trial 12 < duration ≤ 26 weeks (SMD − 0.08, 95% CI − 0.13, − 0.02, p = 0.005) and mean baseline eGFR < 60 ml/min per 1.73 square meters (SMD − 0.22, 95% CI − 0.37, − 0.07, p = 0.004). We found that SGLT2 inhibitors reduced UACR levels in patients with type 2 diabetes (SMD − 0.11, 95% CI − 0.17, − 0.05, p = 0.0001). Compared with monotherapy, the combination with other hypoglycemic agents can reduce albuminuria levels (SMD − 0.13, 95% CI − 0.19, − 0.06, p < 0.0001). The effect of SGLT2 inhibitor on eGFR in patients with T2DM was not statistically significant, but it was effective in reducing albuminuria levels. The online version of this article ( https://doi.org/10.1007/s11255-019-02112-6) contains supplementary material, which is available to authorized users. The current study was founded by the Zhejiang Medical and Health Platform Project of China (2017ZD007).